More daylight, less snow, less cold — what’s not to like! Seriously, this morning I realized how nice it is to drive on dry roads, even if they are marked by potholes and alligator skin pavement. This has been a tough winter in Central Oregon, and I want to personally thank all of you who contributed coats, hats and gloves at the Holiday Party. The generosity of our members went a long way toward helping our neighbors through the winter. With the approach of spring later this month, many HDR members are fussing around their Porsches, getting them ready for the first arrive and drive next month. As you prepare it is important to pay special attention to your tires. Make sure your tires are properly inflated and in good condition. This is especially true for those of you who only drive their “babies” a few thousand miles per year or less. All tires will gradually lose air pressure and tires that are operating at less than proper inflation are both more vulnerable to damage from potholes, and generate more heat at higher speeds. Tires also do not age particularly well and old tires may need to be replaced well before the tread is gone. Visit your mechanic or tire professional if you have any questions at all about your tires. 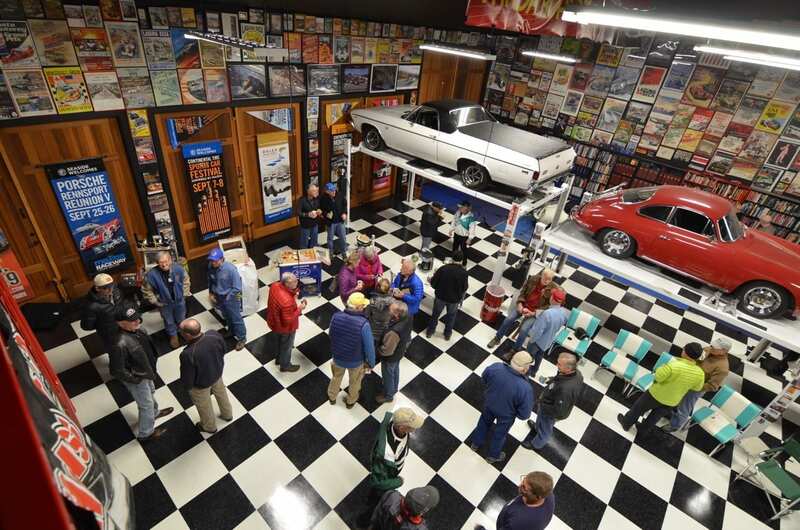 We began the month of February with cars and coffee in Jim Beeger’s temple to the automobile. 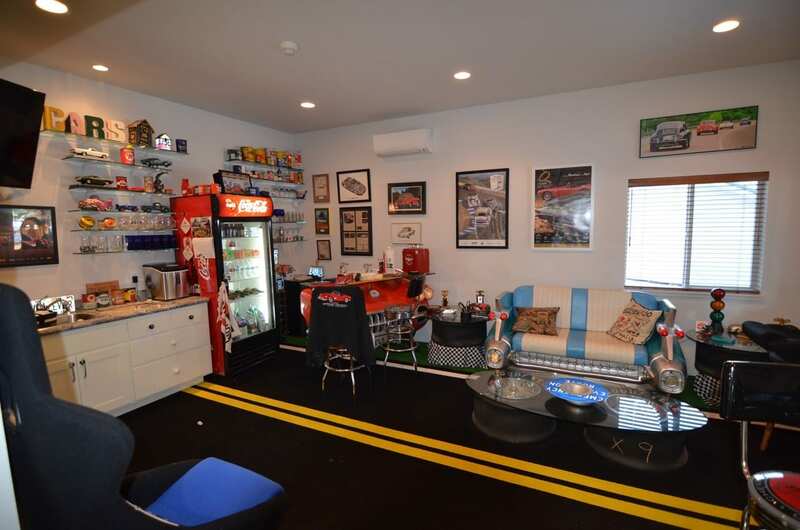 As everyone who attended will agree, calling this Taj Mahal of automobilia a garage would do it a great injustice, for we found equal parts art gallery, library, lounge, and car collection. As those who attended will remember, February began cold and snowy, and although the streets were clearing, Jim’s long driveway had to be “negotiated”. Any trouble getting there, however, was rewarded by the usual dose of cars & coffee camaraderie — in an absolutely fantastic setting. We had around 35 members in attendance and everyone was thoroughly impressed by the depth and breadth of Jim’s collections. In the photo above notice that the glass table is supported by two large race wheels and tires! Thanks again Jim! 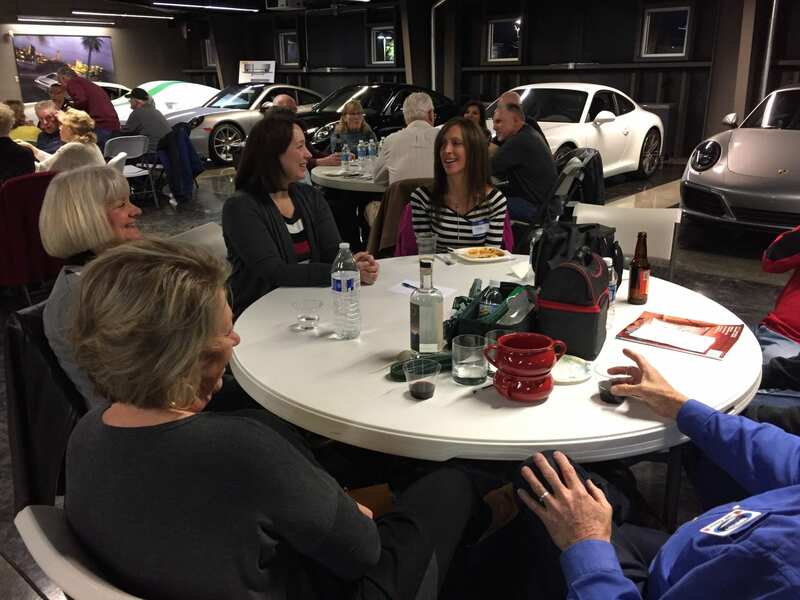 Over fifty of our members showed up to taste, talk and sit in judgment of those who courageously stepped forward to present their favorite recipes for review. 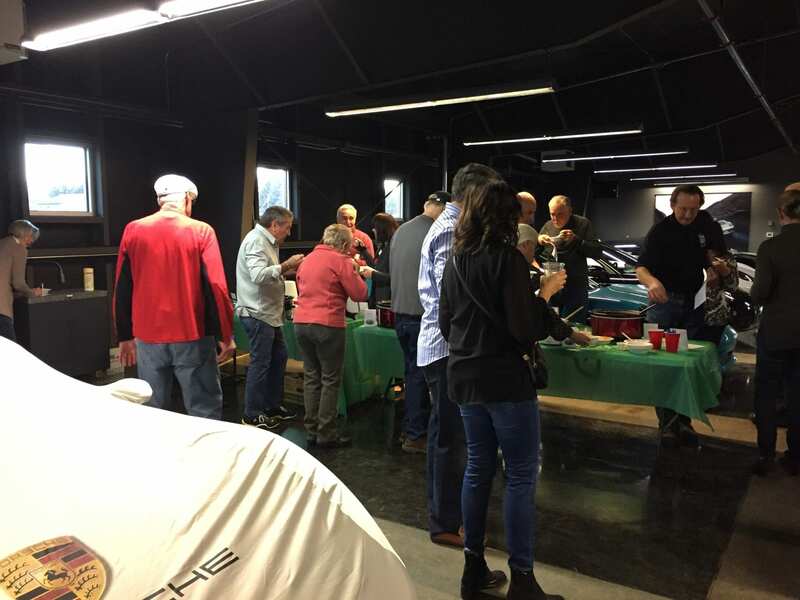 Seriously, though, everyone had a great time and the cook off gave everyone the opportunity to catch up, talking about everything from leaky roofs from the record-breaking winter, to plans around the Porsche Parade. We continue to be amazed by Pete. One would think that after a very busy three years as president of HDR, Pete would want to spend some time relaxing and enjoying his newly found free time. 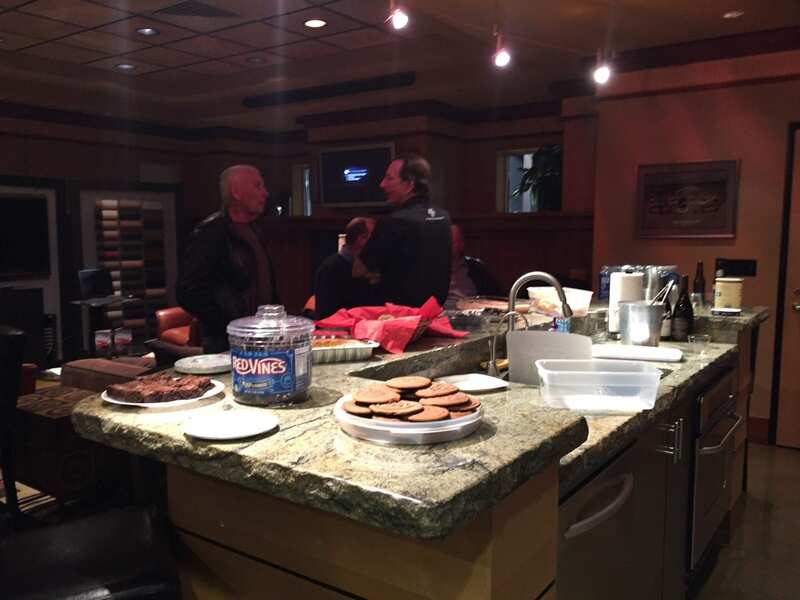 Not our Pete, who not only won the best overall chili, but brought homemade cones and ice cream for dessert. He has also submitted an article to Panorama for publication. Pete is truly a man of many talents, and an asset of the High Desert Region to whom we owe a debt of continuing gratitude. 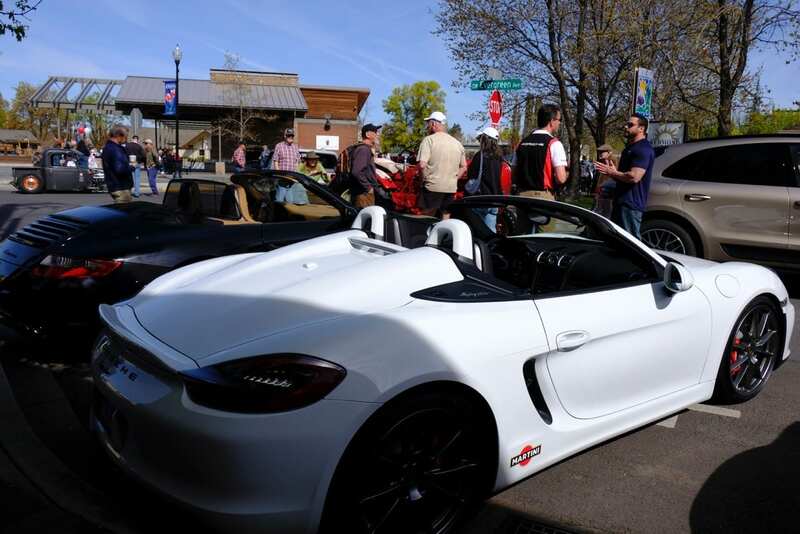 Registration opened on February 21, and we had well over twenty cars register for the 2017 Porsche Parade in Spokane. Just as impressive is the fact that we will have six or more concours entries. We will be joined on the drive to Spokane by cars from the Redwood Region (Santa Rosa) and are planning club activities for when they arrive in Bend on the Friday before the Parade. The term concours is shorthand for Concours d’Elegance, which translates to “competition of elegance” and had its origin in 17th century parades by the French aristocracy of their carriages through the parks of Paris. With the coming of the automobile the emphasis shifted to performance, but styling was never far away from interest in all things automobile and, in the US the two aspects came together with the first Pebble Beach Concours d’Elegance, which was held in 1950 in conjunction with the inaugural Pebble Beach Road Race. 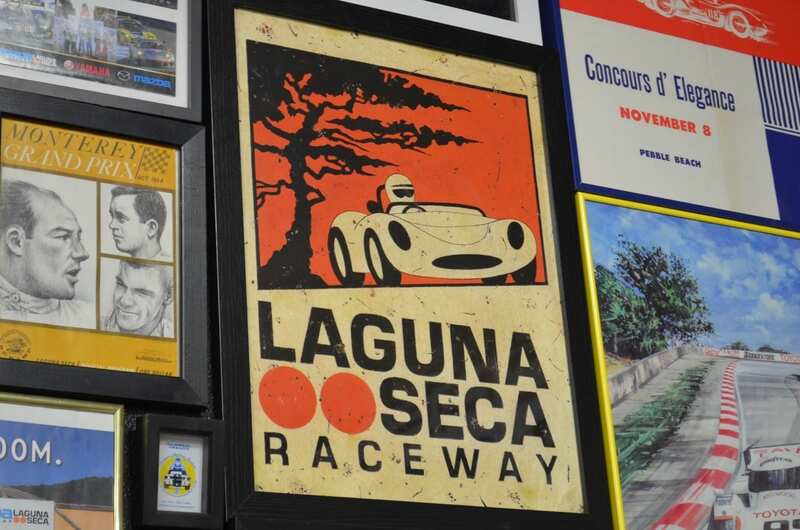 The Pebble Beach Road Race, which was run on public roads is now a relic of history, but it has been replaced by the annual vintage races at Laguna Seca raceway and, combined with the Pebble Beach concours, is now known as the Monterey Car Week, becoming one of the world’s premier car events. Pebble Beach is an invitation only event and, although there is a feature marque each year for Car Week, “common” marques are not typically invited to display on the “field”. 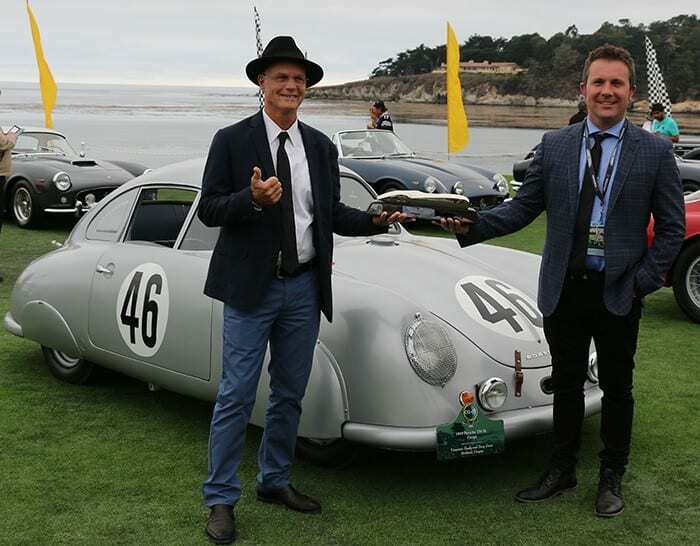 In 2016 there was only one Porsche exhibited at Pebble Beach, the restoration of the 1949 Gmund Coupe that was Porsche’s first entry in international competition at Le Mans in 1951, where it finished first in class. The coupe, 356/2-02 is owned by Cameron Healy and was restored by Rod Emory. Members who attended Rennsport V in 2015 may remember seeing this car at its first outing, displayed along side the 1971 Le Mans winning 917, and the 919 that won the 2015 Le Mans. At Pebble Beach it won second in its class. Restoration Group — Cars that have been comprehensively reconstructed, including rebuilding, repainting, reupholstering, recarpeting, and replating in period correct colors, fabrics, finishes, etc. Classes break into model groupings (e.g., 911/912, with further divisions following the year in which major model changes occurred (e.g., 1965-73). Preservation Group — Cars in the preservation group will be judged on condition and originality, with the latter being determined by the specific automobile’s Kardex (build data sheet), Certificate of Authenticity or window sticker and required for judging. Uniquely, preservation group judging will adjust for mileage. Preparation Group — Includes cars that have been maintained similar to original. The judging emphasis is on preparation and cleanliness, and originality will not be judged. Cars in the preservation group are divided by model classes, and further subdivided by the use of the car into one of three categories: full; touring; or, street. Some of the concours cars that you will see are very high level, museum quality restorations that are not driven other than from the trailer to the display spot. Others are preservation cars that, by definition, feature original paint, interiors, etc. Many of these, like Bill and Cathy Wilson’s 68 912, are cars that have been lovingly owned, driven and cared for by their original owners for several decades, but there are also “super preservation” cars that started as excellent preservation cars, but were then “restored”, but with very careful attention to maintaining the patina of every part of the vehicle. 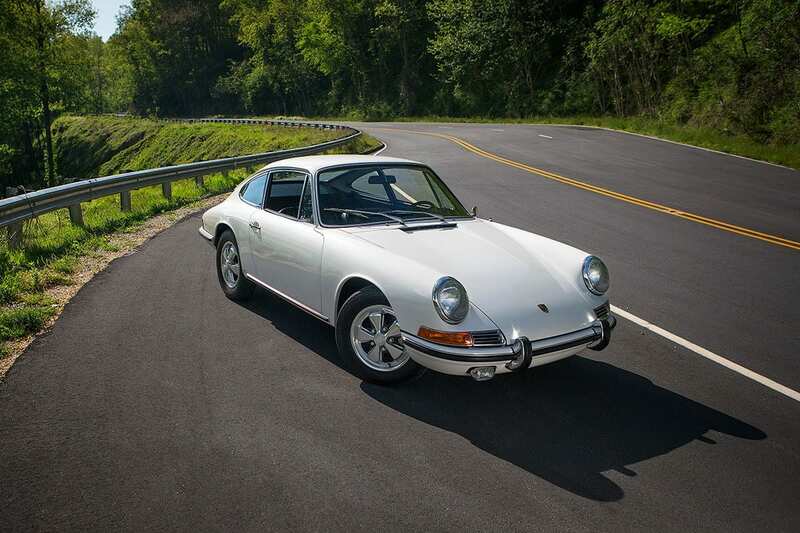 A good example of this concept is the 1967 911S that won best in class at the 2016 Amelia Island concours and was featured in the August 2016 issue of Panorama. This is a very competitive sport! Dedicated restoration and preparation concours cars will certainly be an important part of the concours, but the real beauty of the Parade concours is that a majority of the cars on display will be cars in the preparation group that, while carefully prepared, will have had that work performed by their owners rather than professionals, and will be driven, rather than trailered to the concours. 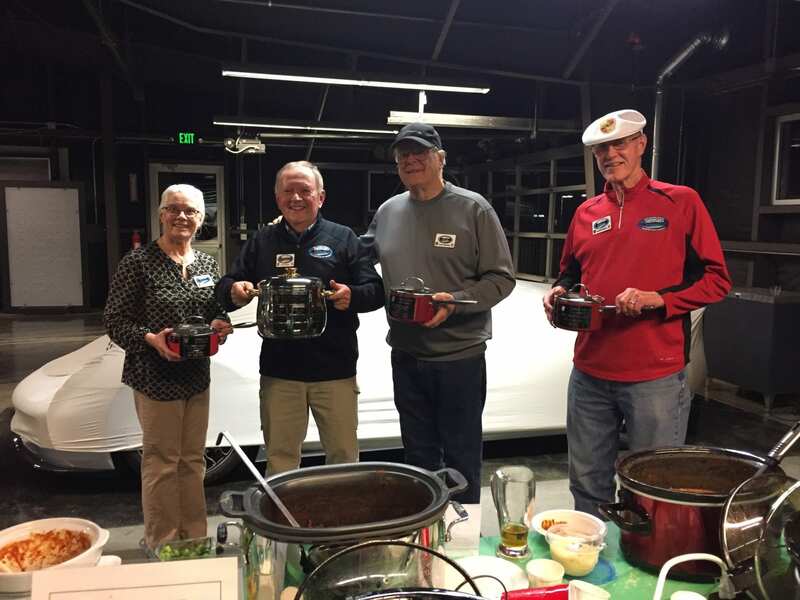 For these PCA members keeping their cars in exquisite condition and driving them defines their Porsche experience. This is an experience that we can all reasonably share in, and it is why the concours cars that are driven to the Parade are a special treat. Most will not take home awards, but they will take home memories of their fellow Porsche owners looking with admiration, and sometimes amazement, at how there isn’t any dust in the heater vents, or that the brake hubs are not really the flat black of brake dust. The preparation group is also where you will find Outlaw 356s, R Gruppe 911s and other cars that could be categorized as hotrods and represent their owner’s personalization of their Porsches, beyond the many options provided by the Porsche catalog. These cars are a veritable library of ideas of how any Porsche owner can move beyond Porsche’s ideas to create true individualization in the marque we share. If you wonder what a classic Fuchs style wheel will look like on a Cayman or 991, you will see it in the preparation group. Lest we leave the impression that cars entered in the Parade concours are just glorified “show & shine” cars, the folks who enter the concours are serious about every nook and cranny, justifiably earning the nickname of “q-tippers”. Most of our events are judged on the basis of the exterior and interior of the cars, but a concours extends to the trunk, engine compartment and undercarriage. Judges look for the condition of each element and aspect of the car, especially for earlier cars. To facilitate the field preparation of the cars from HDR, we will have cars going to Spokane on Thursday and Friday before the Parade. The Diego’s car show in Redmond, April 22, is our first show and shine of the year. Entries received by April 1 receive a free tee shirt and a $10 certificate for food at Diego’s, so register early. This is a fun event that gives us a chance to see a large variety of non-Porsche cars and, of course, to compete for most entries with the Corvette club. You can download an entry form at http://www.diegosspiritedkitchen.com/car-show/.